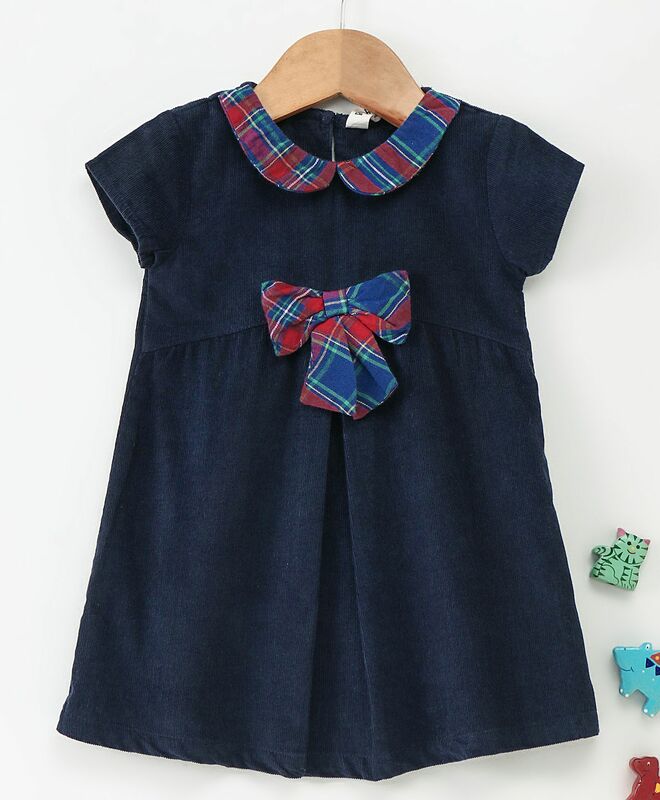 Beebay presents this soft and comfortable short sleeves corduroy Frock for your little girl. Adorable pattern with vibrant colour makes it look stylish. Peter pan collar neck with back button closure ensure fuss free dressing. The soft fabric of the frock will keep your child comfortable all day long.